Home Security For Alexa: Which Home Security System Works with Alexa? A popular term to enter our lexicon in the past decade is the smart home. Within the smart home, tech products are used to make our lives easier. One standout product in the field of home automation is Amazon’s Echo. The Echo enables consumers to use Alexa, a voice-controlled virtual assistant with updates maintained throughout the cloud. Now, home security can be linked and voice-controlled via Alexa. To start, you’ll want to settle on an Amazon device that is Alexa-enabled. Besides the Echo, you can choose from additional generations of the Echo, like the Dot, the Tap or the Show. Each device can be integrated successfully with a home security system. For convenience purposes, you may want to purchase the Tap. The Tap is battery-powered and is completely portable. At first, Scout was the only home security system to work with Alexa. This was limiting to those who already had providers they wanted to use or had products previously installed in their homes. 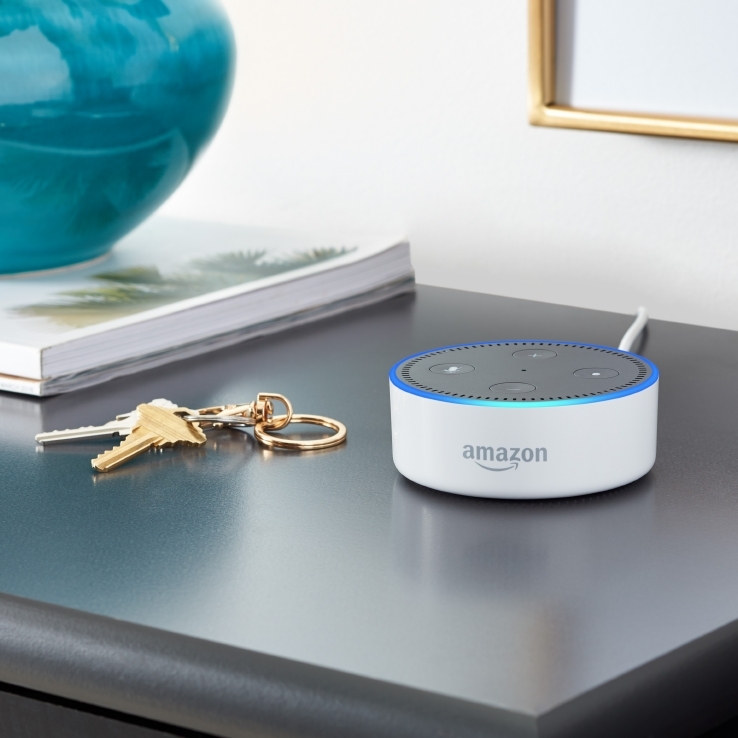 However, since Alexa presented the opportunity to integrate home security option, many top providers including Protect America are now allowing for their products to work on the platform. Once Alexa learns the skill to operate your Protect America security system, you can use your voice to control the alarms. Once Protect America allows you to enable this skill, you can avoid relying on the panel for control over the system. Don’t worry about burglars using Alexa to control your system either. You will be assigned a personal code as a way to use voice control to enable and disable the home monitoring system. Most burglars would try to determine if an alarm was present before attempting a burglary. Among those that determined that an alarm was present after initiating a burglary, about half would discontinue the attempt. A recent trend in the home security industry is to purchase unmonitored security products such as Wi-Fi cameras. However, malfunction of these products can go unnoticed. You will also not have the authorities notified immediately if a break-in ever occurs. Keep you and your family safeguarded with round-the-clock home monitoring. Looking for more information on monitored home security? Get a free quote from Protect America.